Product contains milk, soy, wheat, egg, peanuts, and almonds. 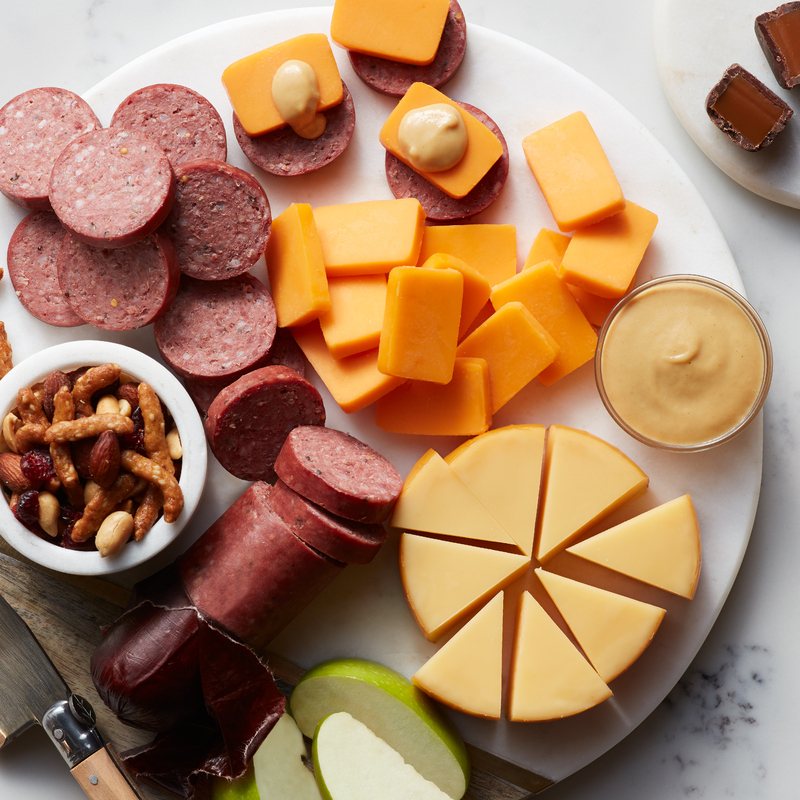 Produced in a facility that also processes tree nuts (pecans, almonds, coconut, cashews, walnut), and fish. 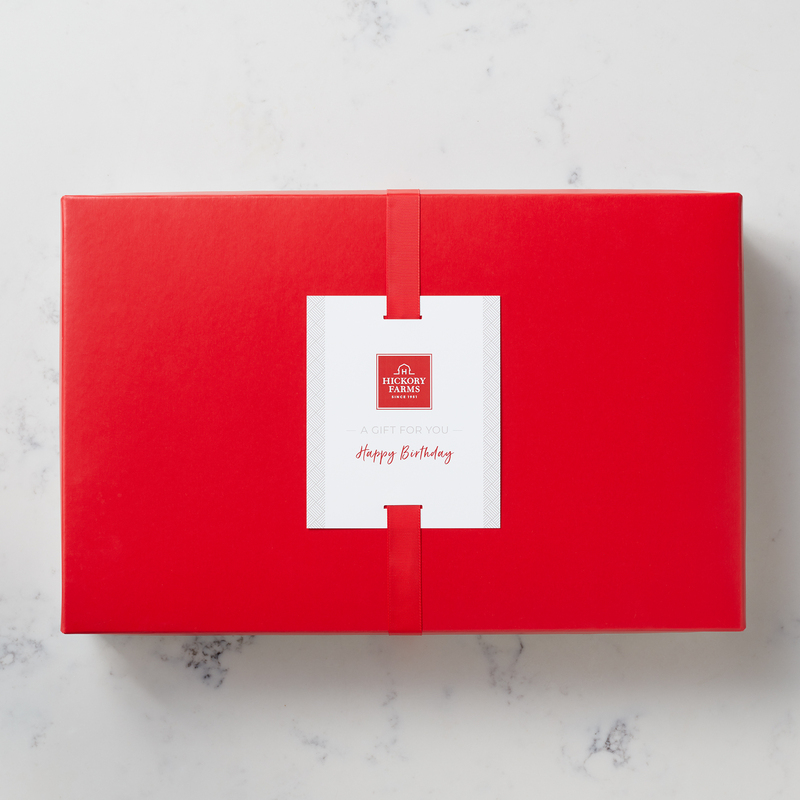 Our favorite savory, smoky, delicious flavors all wrapped up in one perfect gift! 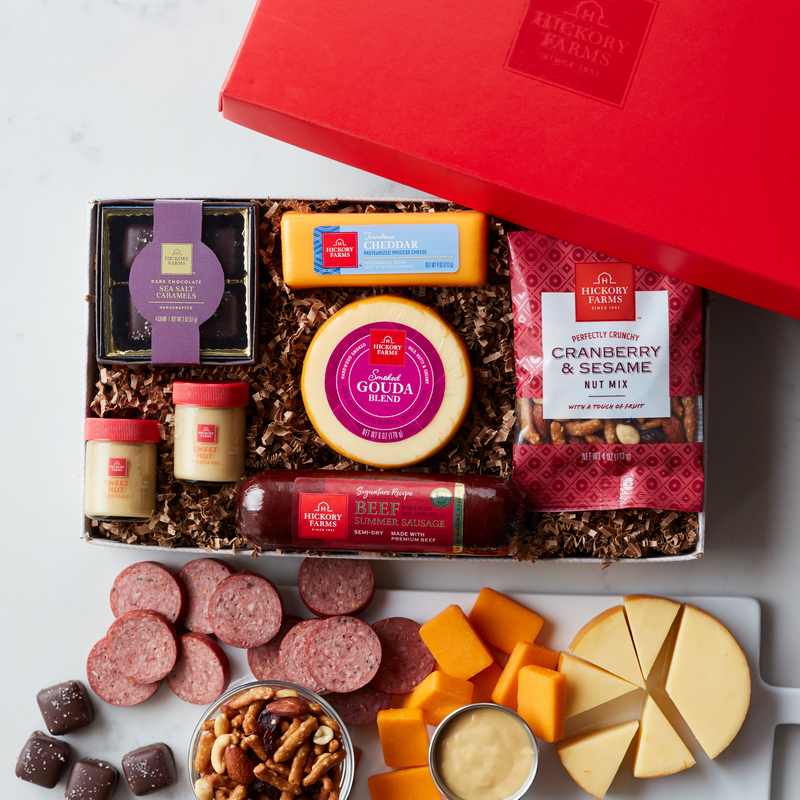 Award-winning Signature Beef Summer Sausage, Smoked Gouda Blend and Farmhouse Cheddar cheeses, our famous Sweet Hot Mustard, plus sweet and salty Cranberry & Sesame Nut Mix and Dark Chocolate Sea Salt Caramels--this box has a little something for everyone!